I'm incredibly lucky that my local station has a brilliant book exchange library. There's set of shelves in the waiting room where you can leave books you've finished with and take any that interest you. I love browsing there while waiting for a train - my only guilt is that I probably take more books than I leave. 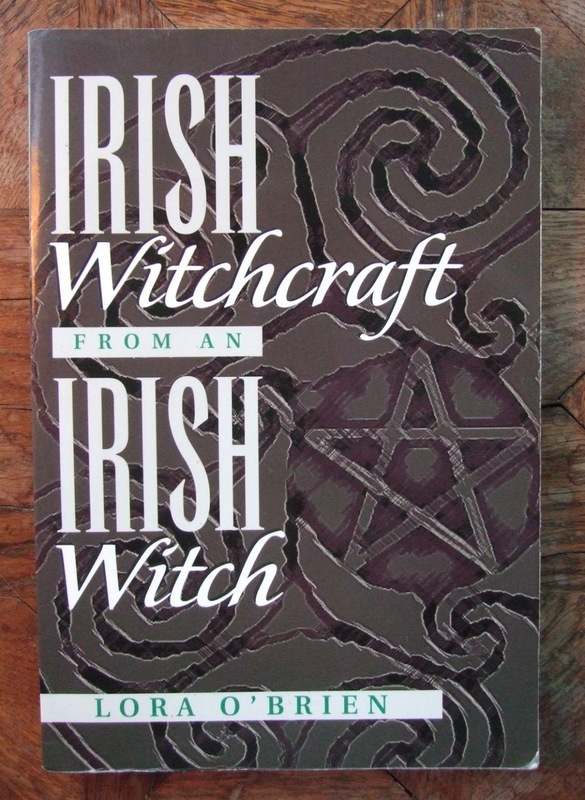 Earlier this week I saw a copy of a book called Irish Witchcraft from an Irish Witch, by Lora O'Brien, and it is now mine. I've no idea how good it is, and I won't have time to start reading it for a while as I have two essays and a creative project to write by the end of the month for my MA course. However, it was a find that made my day. I must make more effort to dig out books to donate to the station swap library, but parting with books is so much more difficult than acquiring new ones! You can view Irish Witchcraft from an Irish Witch on Amazon. Book swaps are such a great idea , you are right it's so difficult to get rid of books, maybe that's why I can't get into the spare room LOL. When I am less busy writing essays, I'm going to have a bit of a clear-out of books I no longer need - at least that's my plan, whether I'll do it or not is another matter!